The Château d'If with Marseille in the background. The Château d'If is a fortress (later a prison) located on the island of If, the smallest island in the Frioul archipelago situated in the Mediterranean Sea about 1.5 kilometres (7⁄8 mile) offshore in the Bay of Marseille in southeastern France. It is famous for being one of the settings of Alexandre Dumas' adventure novel The Count of Monte Cristo. 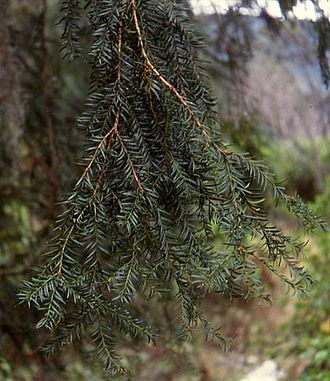 If is the French word for the yew tree. Île d'If measures 3 hectares (0.03 km2) and is located 3.5 km (2 1⁄8 mi) west of the Old Port of Marseille. The entire island is heavily fortified; high ramparts with gun platforms surmount the cliffs that rise steeply from the surrounding ocean. Apart from the fortress, the island is uninhabited. 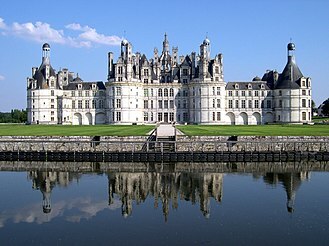 The "château" is a square, three-story building 28 m (92 ft) long on each side, flanked by three towers with large gun embrasures. It was built in 1524-31 on the orders of King Francis I, who, during a visit in 1516, saw the island as a strategically important location for defending the coastline from sea-based attacks. The castle's principal military value was as a deterrent; it never had to fight off an actual attack. 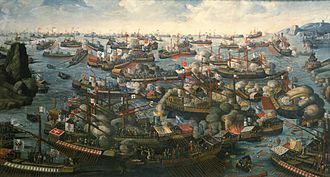 The closest that it came to a genuine test of strength was in July 1531, when Holy Roman Emperor Charles V made preparations to attack Marseille. However, he abandoned the invasion plan. This might have been fortunate, given the weaknesses identified by military engineer Vauban in a scathing report in 1701: "The fortifications look like the rock, they are fully rendered, but very roughly and carelessly, with many imperfections. The whole having been very badly built and with little care... All the buildings, very crudely done, are ill made." The embalmed body of general Jean Baptiste Kléber was repatriated to France after his assassination in Cairo in 1800. 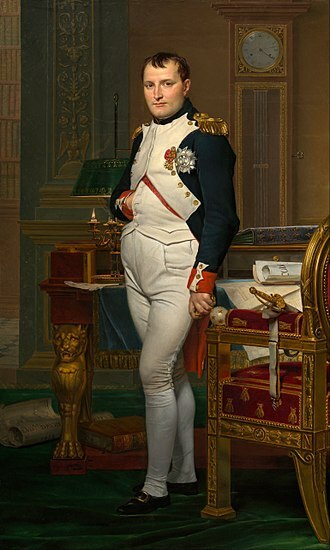 Napoleon, fearing that his tomb would become a symbol to Republicanism, ordered that the body stay at the château. 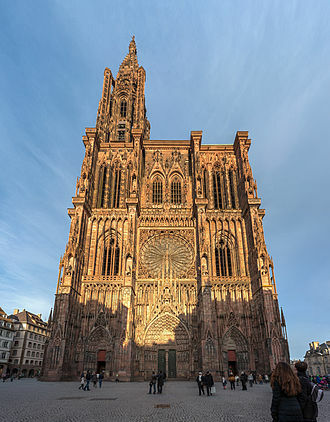 It remained there for 18 years until Louis XVIII granted Kléber a proper burial in his native Strasbourg. The isolated location and dangerous offshore currents of the Château d'If made it an ideal escape-proof prison, very much like the island of Alcatraz in California in more recent times. Its use as a dumping ground for political and religious detainees soon made it one of the most feared and notorious jails in France. 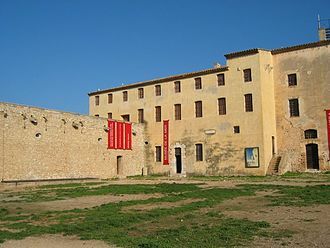 Over 3,500 Huguenots (French Calvinists) were sent to Château d'If, as was Gaston Crémieux, a leader of the Paris Commune, who was shot there in 1871. The island became internationally famous in the 19th century when Alexandre Dumas used it as a setting for The Count of Monte Cristo, published to widespread acclaim in 1844. In the novel, the main character Edmond Dantès (a commoner who later purchases the noble title of Count) and his mentor, Abbé Faria, were both imprisoned in it. After fourteen years, Dantès makes a daring escape from the castle, becoming the first person ever to do so and survive. In reality, no one is known to have done this. 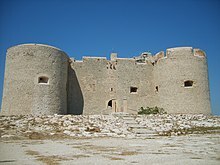 The modern Château d'If maintains a roughly hewn dungeon in honour of Dantès as a tourist attraction. As was common practice in those days, prisoners were treated differently according to their class and wealth. The poorest were placed at the bottom, being confined perhaps twenty or more to a cell in windowless dungeons under the castle. However, the wealthiest inmates were able to pay for their own private cells (or pistoles) higher up, with windows, a garderobe and a fireplace. The château's use as a prison ceased at the end of the 19th century. 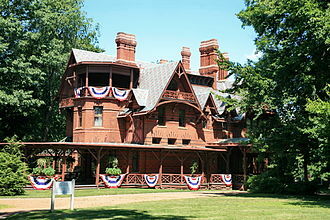 It was demilitarized and opened to the public on 23 September 1890. It can be reached by boat from Marseille's old port. Its fame comes from the setting for Dumas' novel, The Count of Monte Cristo. This fame has made the prison a popular tourist destination. Mark Twain visited the château in July 1867 during a months-long pleasure excursion. 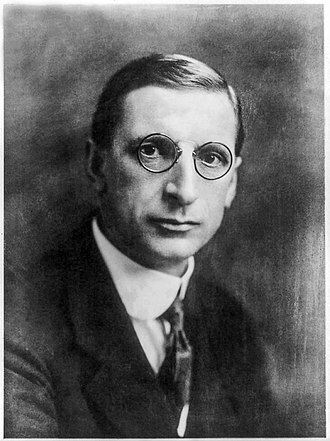 He recounts his visit in his book, The Innocents Abroad. He says a guide took his party into the prison, which was not yet open to the public, and inside the cells, one of which he says housed the "Iron Mask." 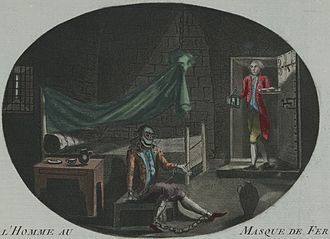 There is a sign at the château that says "Prison dite de l'Homme au Masque de Fer" ("Said to be the prison of the Man in the Iron Mask"), but this is likely only legend since the famed Man in the Iron Mask was never held at the Château d'If. The Château d'If is listed as a monument historique by the French Ministry of Culture. Château d'If is famous for being one of the settings of Alexandre Dumas' adventure novel The Count of Monte Cristo. However, other locations have been used to represent Château d'If in film adaptations of the work. In the 2002 adaptation starring Jim Caviezel, the château was represented by Saint Mary's Tower on Comino, the smallest inhabited Maltese island. The cliff-top watchtower can be seen from the ferry crossing between Malta and Gozo. 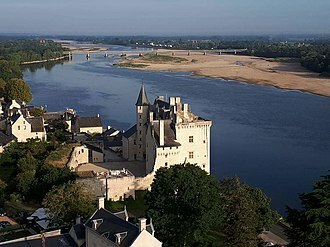 The fortress was used as the location where Alain Charnier a.k.a. Frog One (Fernando Rey) meets Devereaux (Frédéric de Pasquale) to finalise the drugs shipment to the United States in the 1971 crime film The French Connection. In the 1956 "Tales of Old Dartmoor" episode of The Goon Show radio comedy series, Grytpype-Thynne has Dartmoor Prison put to sea to visit the Château d'If, as part of a plan to find the treasure of the Count of Monte Cristo. In "The Ruby Notebook" by Laura Resau, Zeeta and Wendell visit the Château d'If. In the Clive Cussler novel Spartan Gold, the main characters visit the Château d'If as part of their quest for hidden treasure. Contrary to common belief, the Marquis de Sade was not a prisoner at the château. 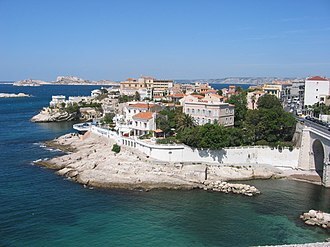 ^ "Lonely Planet Guide to Marseille". Lonelyplanet.com. Retrieved 2013-04-25. ^ "Marseille Office of Tourism". Marseille-tourisme.com. Retrieved 2013-04-25. ^ "Centre Des Monuments Nationaux". If.monuments-nationaux.fr. Retrieved 2013-04-25. ^ Château d’If – Between Myth and Reality"
Wikimedia Commons has media related to Château d'If. Château d'If Tour- Sign about Man in the Iron Mask is at 1:30 into video. Recent research suggests that his name might have been Eustache Dauger, but this still has not been completely proven. 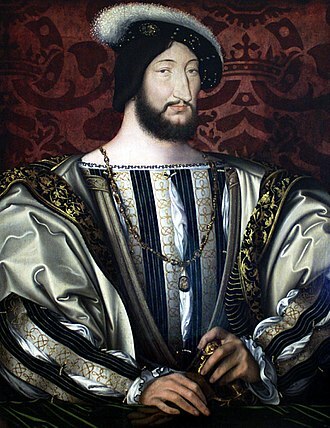 He was held in the custody of the jailer, Bénigne Dauvergne de Saint-Mars. 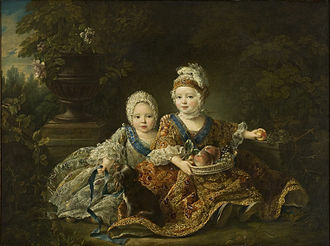 He died on 19 November 1703 under the name Marchioly, during the reign of Louis XIV of France. Dumas presented a review of the theories about the prisoner extant in his time in the chapter Lhomme au masque de fer in the sixth volume of his Crimes Célèbres. What little is known about the historical Man in the Iron Mask is based mainly on correspondence between Saint-Mars and his superiors in Paris and these documents have been searched for in vain for more than a century and were thought to have been lost. They were discovered only in 2015, among the 100 million or so documents of the Minutier central des notaires and they show that some of the 800 documents in the possession of the jailer Saint-Mars were analysed after his death. These documents confirm the reputed avarice of Saint-Mars, who appears to have diverted the funds paid by the king Louis XIV for the prisoner. Among other things, for the first time we have a description of an occupied by the masked prisoner, which was miserable. In his letter, Louvois informed Saint-Mars that a prisoner named Eustache Dauger was due to arrive in the month or so. Louvois instructed Saint-Mars to prepare a cell with multiple doors, one closing upon the other, Saint-Mars himself was to see Dauger only once a day in order to provide food and whatever else he needed. Dauger was arrested by Captain Alexandre de Vauroy, garrison commander of Dunkirk, and taken to Pignerol, the first rumours of the prisoners identity began to circulate at this point. According to many versions of the legend, the prisoner wore the mask at all times. 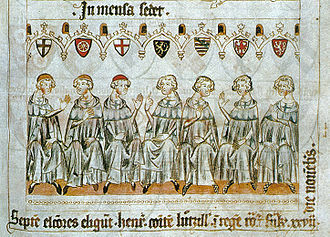 The prison at Pignerol, like the others at which Dauger was held, was used for men who were considered an embarrassment to the state, Fouquets cell was above that of Lauzun. 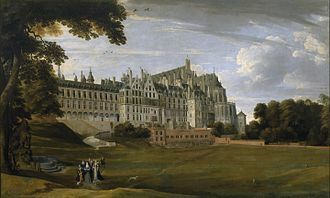 Dauger was not always isolated from the other prisoners and important ones usually had manservants, Fouquet for instance was served by a man called La Rivière. Alexandre Dumas, known as Alexandre Dumas, père, was a French writer. His works have translated into nearly 100 languages, and he is one of the most widely read French authors. His novels have been adapted since the twentieth century for nearly 200 films. Dumas last novel, The Knight of Sainte-Hermine, unfinished at his death, was completed by a scholar and published in 2005 and it was published in English in 2008 as The Last Cavalier. Prolific in several genres, Dumas began his career by writing plays and he wrote numerous magazine articles and travel books, his published works totalled 100,000 pages. In the 1840s, Dumas founded the Théâtre Historique in Paris and his father, General Thomas-Alexandre Davy de la Pailleterie, was born in the French colony of Saint-Domingue to a French nobleman and an enslaved African woman. 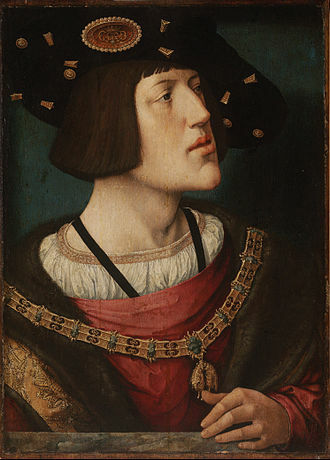 At age 14 Thomas-Alexandre was taken by his father to France, Dumas fathers aristocratic rank helped young Alexandre acquire work with Louis-Philippe, Duke of Orléans. He began working as a writer, finding early success, decades later, in the election of Louis-Napoléon Bonaparte in 1851, Dumas fell from favour and left France for Belgium, where he stayed for several years. Upon leaving Belgium, Dumas moved to Russia for a few years before going to Italy, in 1861, he founded and published the newspaper LIndipendente, which supported the Italian unification effort. In 1864, he returned to Paris, though married, in the tradition of Frenchmen of higher social class, Dumas had numerous affairs. In his lifetime, he was known to have at least four illegitimate or natural children and he acknowledged and assisted his son, Alexandre Dumas, to become a successful novelist and playwright. 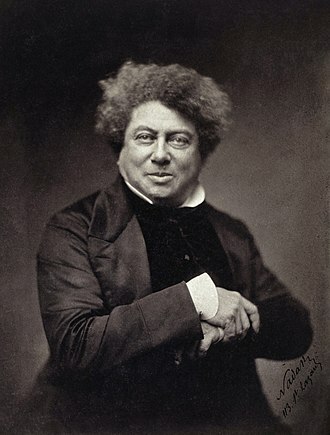 They are known as Alexandre Dumas père and Alexandre Dumas fils, among his affairs, in 1866, Dumas had one with Adah Isaacs Menken, an American actress less than half his age and at the height of her career. The English playwright Watts Phillips, who knew Dumas in his life, described him as the most generous. He was the most delightfully amusing and egotistical creature on the face of the earth and his tongue was like a windmill – once set in motion, you never knew when he would stop, especially if the theme was himself. Fernando Casado Arambillet, best known as Fernando Rey, was a Spanish film and television actor, who worked in both Europe and the United States. The debonair Rey was described by French Connection producer Philip DAntoni as the last of the Continental guys and he achieved his greatest notoriety after he turned 50, Perhaps it is a pity that my success came so late in life, he told the Los Angeles Times. It might have been better to have been successful while young, your life is all before you to enjoy it. Rey was born in A Coruña, the son of Captain Casado Veiga and he studied architecture, but the Spanish Civil War interrupted his university studies which led him to his success. In 1936, Rey began his career in movies as an extra and it was that he chose his stage name, Fernando Rey. He kept his first name, but took his mothers surname, Rey. In 1944, his first speaking role was the Duke of Alba in José López Rubios Eugenia de Montijo, four years later, he acted the part of Felipe I el Hermoso, King of Spain, in the Spanish cinema blockbuster Locura de amor. This was the start of a career in film, theatre. Rey was a dubbing actor in Spanish television. In fact, Rey acted in four different film versions of Don Quixote in different roles, if one counts the Welles version. However, in the term, Buñuels disconcerting public remark on Reys performance in other Bardems film, Sonatas, I love how this actor plays a corpse. Nevertheless, eventually Rey became Buñuels preferred actor and closest friend, Reys first international performance was in The Night Heaven Fell a 1958 French-Italian film directed by Roger Vadim, where he acted alongside Stephen Boyd, Marina Vlady and Brigitte Bardot. Previously he had played in an American TV series, It happens in Spain, the story of the exploits of a detective, operating out in Spain. In 1959, Rey co-starred with Steve Reeves and Christine Kaufmann in the Italian sword and it was his work with Orson Welles and Luis Buñuel during the 1960s and 1970s that made Rey internationally prominent, becoming the first international Spanish actor. 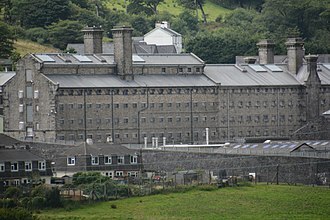 HM Prison Dartmoor is a Category C mens prison, located in Princetown, high on Dartmoor in the English county of Devon. Its high granite walls dominate this area of the moor, the prison is owned by the Duchy of Cornwall, and is operated by Her Majestys Prison Service. In 1805, Great Britain was at war with Napoleonic France, construction started in 1806, taking three years to complete. 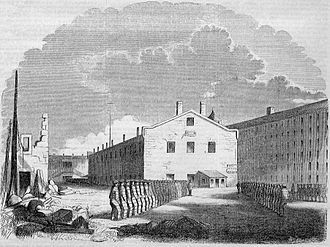 In 1809 the first French prisoners arrived, and were joined by American POWs taken in the War of 1812, at one time the prison population numbered almost 6,000. Many prisoners died and were buried on the moor, both French and American wars were concluded in 1815, and repatriations began. The prison lay empty until 1850, when it was largely rebuilt, with the establishment of the prison farm in about 1852, all the prisoners remains were exhumed and re-interred in two cemeteries behind the prison. Although the war ended with the Treaty of Ghent in December 1814, from the spring of 1813 until March 1815 about 6,500 American sailors were imprisoned at Dartmoor. 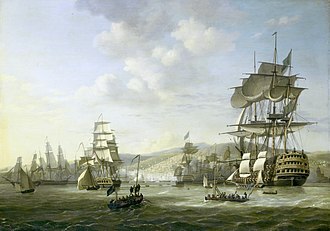 These were naval prisoners, and impressed American seamen discharged from British vessels, whilst the British were in charge of the prison, the prisoners created their own governance and culture. They had courts which meted out punishments, there was a market, a theatre. About 1,000 of the prisoners were black Americans and it took several weeks for the American agent to secure ships for their transportation home, and the men grew very impatient. 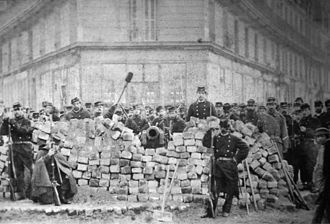 On 4 April, a contractor attempted to work off some damaged hardtack on them in place of soft bread and was forced to yield by their insurrection. The commandant, Captain T. G. Shortland, suspected them of a design to break out of the gaol. This was the reverse of the truth in general, as they would lose their chance of going on the ships, but a few had made threats of the sort, and the commandant was very uneasy. About 6,00 pm of the 6th, Shortland discovered a hole from one of the five prisons to the yard near the gun racks. Some prisoners were outside the fence, noisily pelting each other with turf, Shortland was convinced of a plot, and rang the alarm bell to collect the officers and have the men ready. In military architecture, an embrasure is the opening in a crenellation or battlement between the two raised solid portions or merlons, sometimes called a crenel or crenelle. In domestic architecture this refers to the outward splay of a window or arrow slit on the inside, a loophole, arrow loop or arrowslit passes through a solid wall and was originally for use by archers. The purpose of embrasures is to allow weapons to be fired out from the fortification while the remains under cover. The splay of the wall on the inside provides room for the soldier and his equipment, excellent examples of deep embrasures with arrow slits are to be seen at Aigues-Mortes and Château de Coucy, both in France. The etymology of embrasure expresses widening, the invention of the arrowslit is attributed to Archimedes during the siege of Syracuse in 214–212 BC. 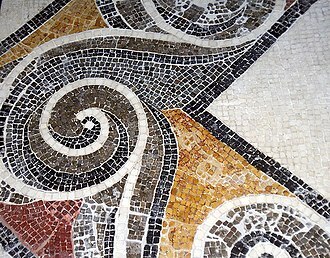 From Polybiuss The Histories, Archimedes had had the walls pierced with large numbers of loopholes at the height of a man, the invention was forgotten until reintroduced in the 12th century. By the 19th century, a distinction was made between embrasures being used for cannon, and loopholes being used for musketry, in both cases, the opening was normally made wider on the inside of the wall than the outside. A distinction was made between horizontal and vertical embrasures or loopholes, depending on the orientation of the formed in the outside wall. Vertical loopholes—which are much more common—allow the weapon to be raised and lowered in elevation so as to cover a variety of ranges easily. However to sweep from side to side the weapon must bodily move from side to side to pivot around the muzzle, horizontal loopholes, on the other hand, facilitate quick sweeping across the arc in front, but make large adjustments in elevation very difficult. They were usually used in circumstances where the range was very restricted anyway, another variation had both horizontal and vertical slits arranged in the form of a cross, and was called a crosslet loop or an arbalestina since it was principally intended for arbalestiers. Alcatraz Island is located in San Francisco Bay,1.25 miles offshore from San Francisco, United States. The small island was developed with facilities for a lighthouse, a fortification, a military prison. 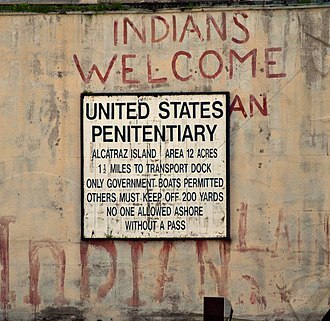 In 1972, Alcatraz became part of a recreation area. Today, the facilities are managed by the National Park Service as part of the Golden Gate National Recreation Area. Visitors can reach the island by ferry ride from Pier 33, near Fishermans Wharf, hornblower Cruises and Events, operating under the name Alcatraz Cruises, is the official ferry provider to and from the island. According to a 1971 documentary on the history of Alcatraz, the island measures 1,675 feet by 590 feet and is 135 feet at highest point during mean tide, the total area of the island is reported to be 22 acres. 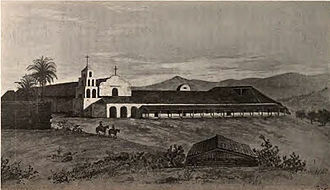 Over the years, the Spanish version Alcatraz became popular and is now widely used, in August 1827, French Captain Auguste Bernard Duhaut-Cilly wrote. Covered with a number of these birds. A gun fired over the feathered legions caused them to fly up in a great cloud, the California brown pelican is not known to nest on the island today. 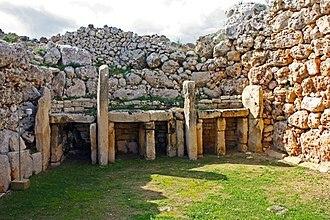 The Spanish built several buildings on the island and other minor structures. Julian Workman is the name of William Workman, co-owner of Rancho La Puente. 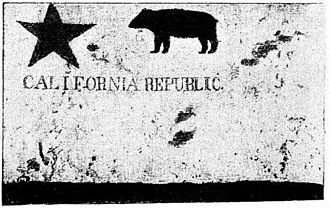 Later in 1846, acting in his capacity as Military Governor of California, frémont, champion of Manifest Destiny and leader of the Bear Flag Republic, bought the island for $5,000 in the name of the United States government from Francis Temple. Frémont and his heirs sued for compensation during protracted but unsuccessful legal battles that extended into the 1890s. S, Army began studying the suitability of Alcatraz Island for the positioning of coastal batteries to protect the approaches to San Francisco Bay. In 1853, under the direction of Zealous B, the United States Army Corps of Engineers began fortifying the island, work which continued until 1858, eventuating in Fortress Alcatraz. The islands first garrison at Camp Alcatraz, numbering about 200 soldiers and 11 cannons, at this time it served as the San Francisco Arsenal for storage of firearms to prevent them falling into the hands of Confederate sympathizers. Besides their use for punishing crimes and prisons are frequently used by authoritarian regimes against perceived opponents. Prisons often have facilities that are designed with long term confinement in mind in comparison to jails. In times of war, prisoners of war or detainees may be detained in prisons or prisoner of war camps. The use of prisons can be traced back to the rise of the state as a form of social organization, corresponding with the advent of the state was the development of written language, which enabled the creation of formalized legal codes as official guidelines for society. The best known of early legal codes is the Code of Hammurabi. Some Ancient Greek philosophers, such as Plato, began to develop ideas of using punishment to reform instead of simply using it as retribution. Imprisonment as a penalty was used initially for those who could not afford to pay their fines, since impoverished Athenians could not pay their fines, leading to indefinite periods of imprisonment, time limits were set instead. The prison in Ancient Athens was known as the desmoterion, the Romans were among the first to use prisons as a form of punishment, rather than simply for detention. A variety of existing structures were used to house prisoners, such as cages, basements of public buildings. One of the most notable Roman prisons was the Mamertine Prison, the Mamertine Prison was located within a sewer system beneath ancient Rome and contained a large network of dungeons where prisoners were held in squalid conditions, contaminated with human waste. 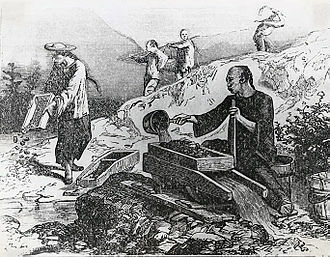 Forced labor on public projects was a common form of punishment. 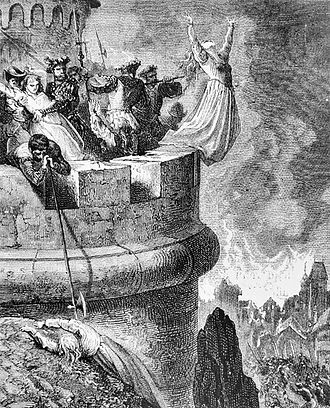 In many cases, citizens were sentenced to slavery, often in ergastula, during the Middle Ages in Europe, castles and the basements of public buildings were often used as makeshift prisons. Another common punishment was sentencing people to slavery, which involved chaining prisoners together in the bottoms of ships. However, the concept of the modern prison largely remained unknown until the early 19th-century, Punishment usually consisted of physical forms of punishment, including capital punishment, flagellation and non-physical punishments, such as public shaming rituals. General Thomas-Alexandre Dumas, father of Alexandre Dumas. Alexandre Dumas, engraving by Antoine Maurin. 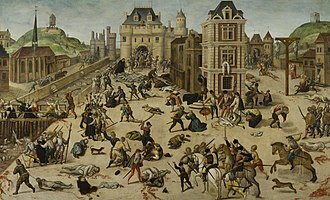 Assassination of Kléber, painting in the Musée historique de Strasbourg. Kléber's name inscribed on the Arc de Triomphe in Paris. An exterior view of the Alcatraz main cell block from the exercise yard. L'Homme au Masque de Fer (The Man in the Iron Mask). Anonymous print (etching and mezzotint, hand-colored) from 1789. The town of Pinerolo, previously Pignerol, in Piedmont, Italy. Fernando Rey with Silvia Pinal in Viridiana, in the cover of the film script book. Fernando Rey with Gloria Grahame in Tarot (The Magician, 1973). Fernando Rey, as Don Quixote, with Alfredo Landa, as Sancho Panza, in El Quijote de Miguel de Cervantes (1991). The blue plaque from the old Camden Theatre, now Koko, the site of the recording of The Last Goon Show of All.